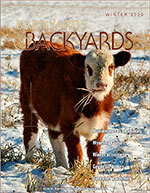 Barnyards & Backyards is perfect for the small acreage landowner, new landowner or backyard enthusiast. Use this website to find out more about the publication, the resources and the partnership that created them. Do you have a question? Get a response to your question from an expert in Wyoming. Submit Your Question Now! 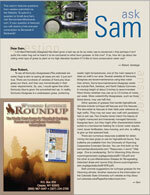 Quarterly magazine perfect for the small acreage landowner. Subscribe and stay informed! Subscribe and view archived articles.